It had been a lazy day. I hadn’t managed to do anything productive and it was already the afternoon. I had this feeling of restless excitement that was distracting me from anything I set my mind to. I was craving adventure, but yet again had left it until too late in the day. 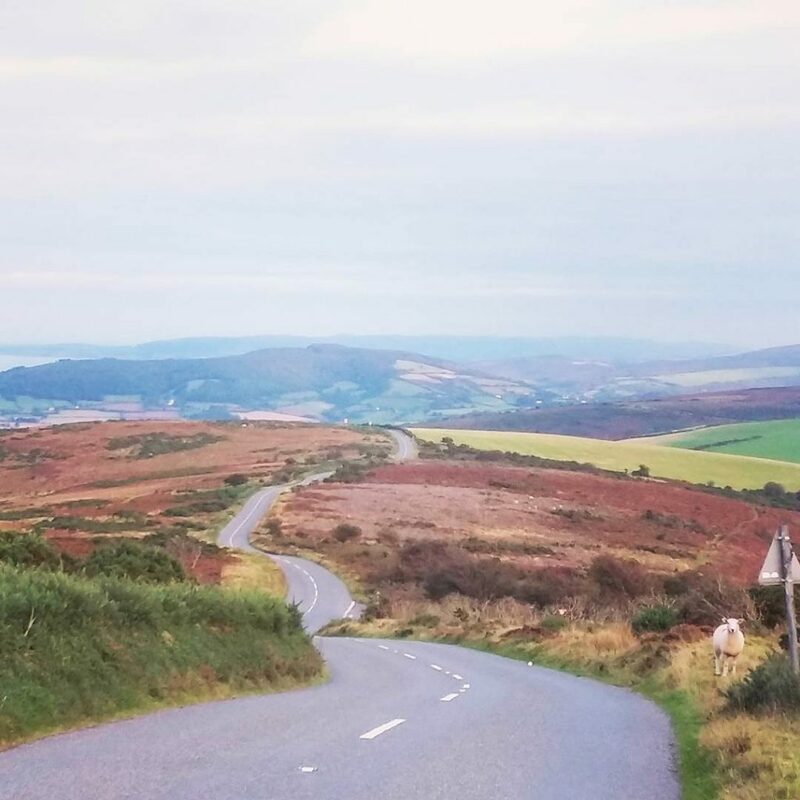 I resigned myself to an uneventful afternoon, and started planning a trip to the Exmoor coast for the following day instead. I felt tingles of excitement as I looked online at pictures of stunning scenery. Then I checked the weather forecast and my heart sank. Nothing but rain for tomorrow, and today looked sunny and warm. Typical! The spirit of adventure had a hold on me though, and I couldn’t shake the desire to JUST GO. So I got in the car and started driving. I didn’t know if I’d see much in the few hours that were left before sunset, but I needed that feeling. I would rather be an adventurer that tried and failed to reach her destination than one who sat at home wondering. Who knew, maybe I would have some fun on the way too! As soon as I was on the road I felt that familiar buzz of excitement that I’d been missing for the last few weeks. I didn’t know what was in store for me, but with a strong desire to explore I had a good feeling about this mini-adventure. After an hour of driving the roads became more scenic. Gliding through the trees with the sun beaming through parting clouds, I danced in my seat to the music that was playing on the radio. I felt happy, and even if I had to turn around and go home there and then, the trip was already worth it. 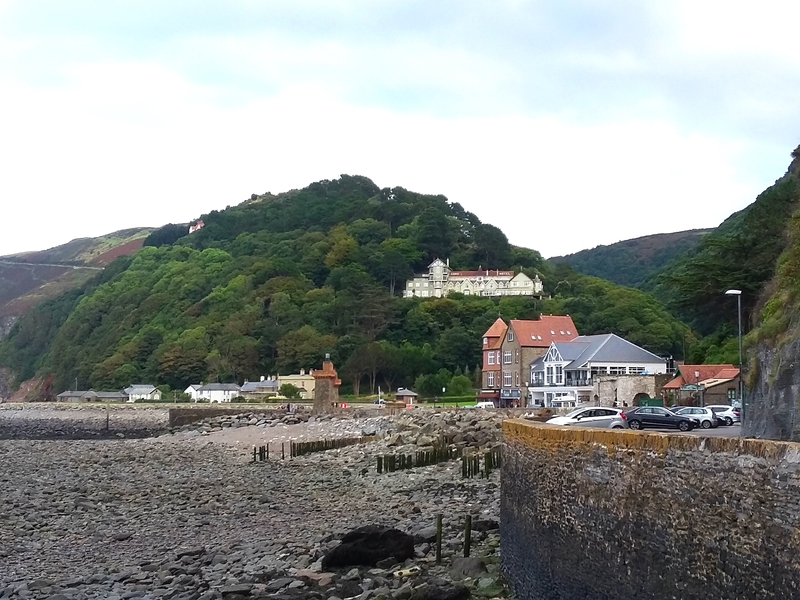 I arrived in Lynton, a small town that sits on the cliff top above its sister town Lynmouth on the coast. I wasn’t expecting to be rewarded with such breathtaking scenery with so little effort. I wandered into a church yard and the quiet serenity of my surroundings, combined with the most wonderful sea view and perfect weather, left me utterly speechless. It’s amazing what a little determination can do to change the course of a dull day. 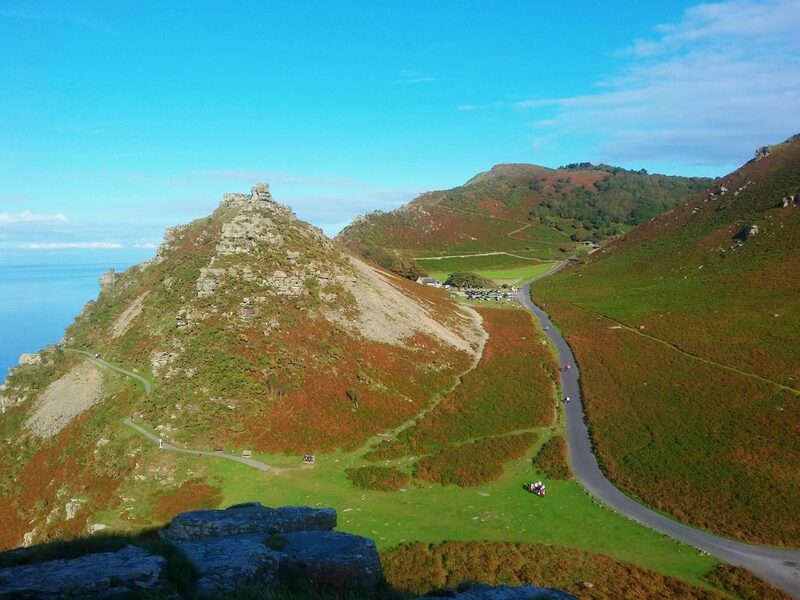 I set off along the coast path towards the Valley of Rocks, just west of Lynton and Lynmouth. I’d walked that segment of the path a few years before from the opposite direction, but it wasn’t until the trees cleared that I remembered. The same feeling of being somewhere very special came over me. 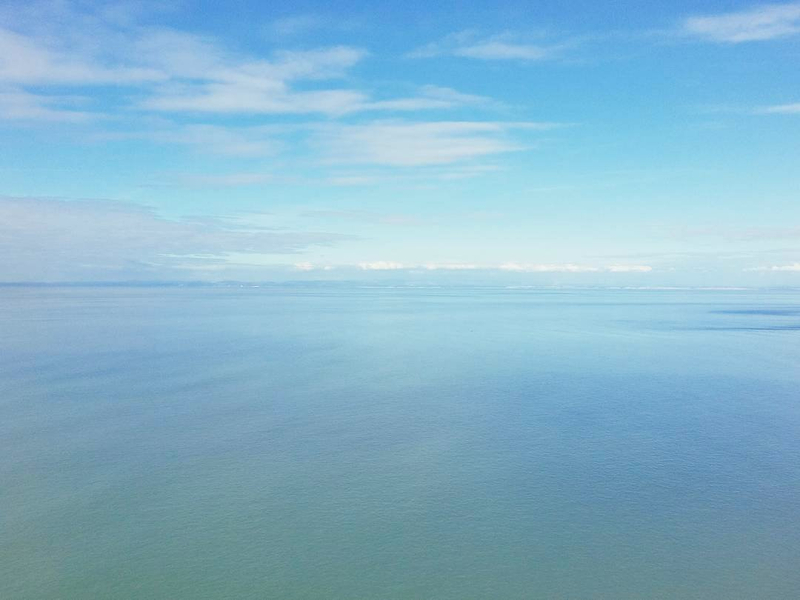 The vast expanse of shimmering blue water radiated an unmistakable magic that I recognised instantly. 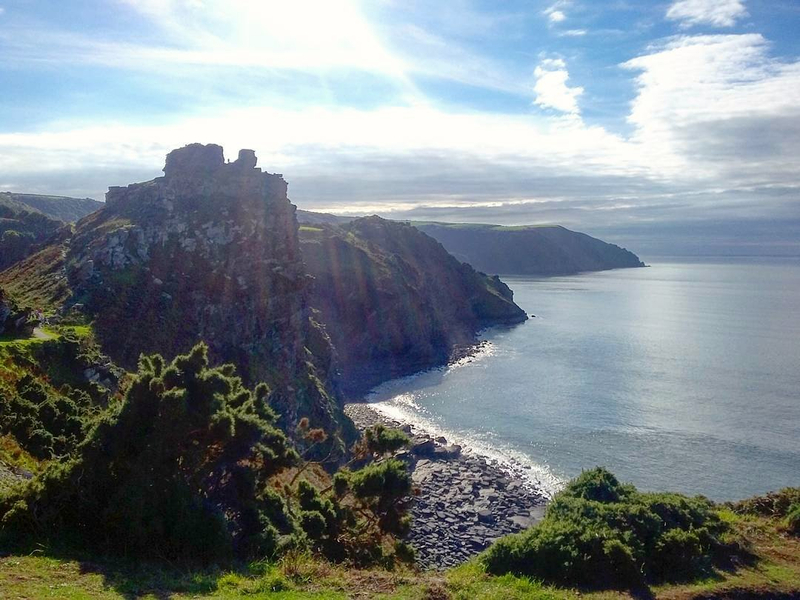 I wanted to head down into Lynmouth afterwards, so I didn’t know how far along the path I would go before turning back. Around each corner was new beauty though, luring me further and further out of town. The sun shone brightly onto the perfectly still glimmering sea, turning it into liquid silver. With such a perfect example of peace before me, my mind and heart became as calm as the smooth surface of the water. I continued along the path, absorbing all of the blissful tranquility of my surroundings. 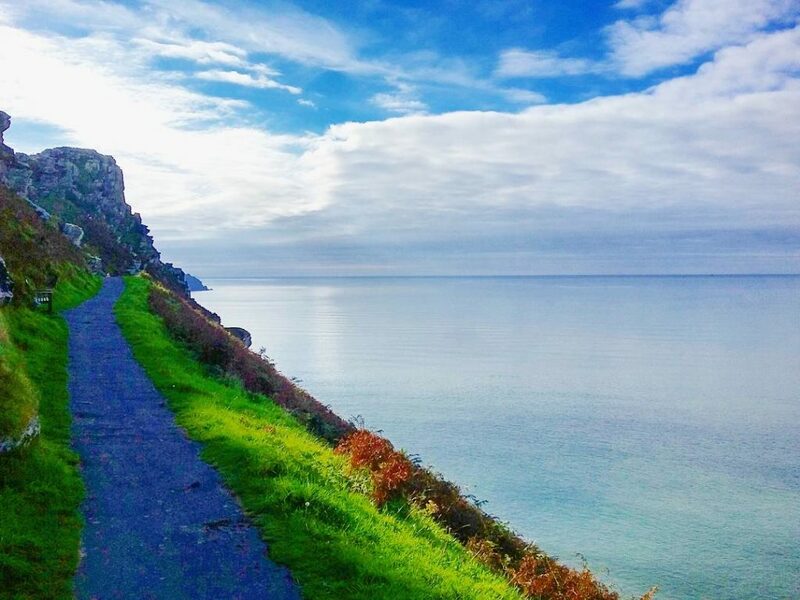 When I caught my first glimpse of Castle Rock, reaching up majestically towards the sky, I knew it would be the perfect point to finish my walk. I clambered up between the rocks until I reached the highest point I could without endangering my life, and paused to take in the view across the valley. I observed the tiny dots of cars and people that had come to visit the landmark. I wished I could have lingered in the sun with them for longer in this beautiful area. I could easily have spent a day reading and relaxing there, soaking up the remaining summer warmth. 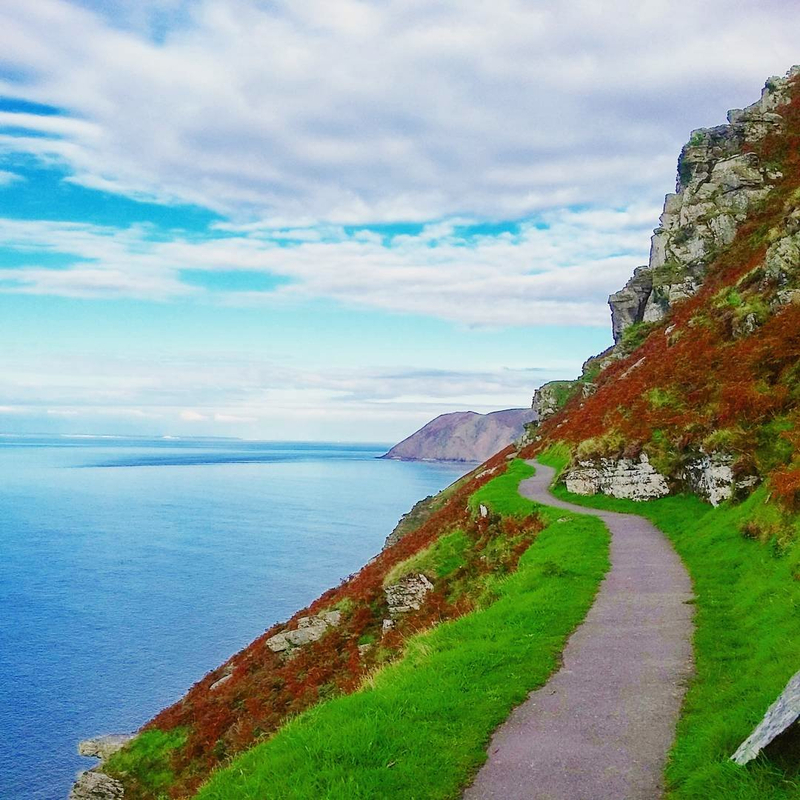 I wanted to head into Lynmouth before beginning the long journey home though, so I set off back along the stunning coast path. 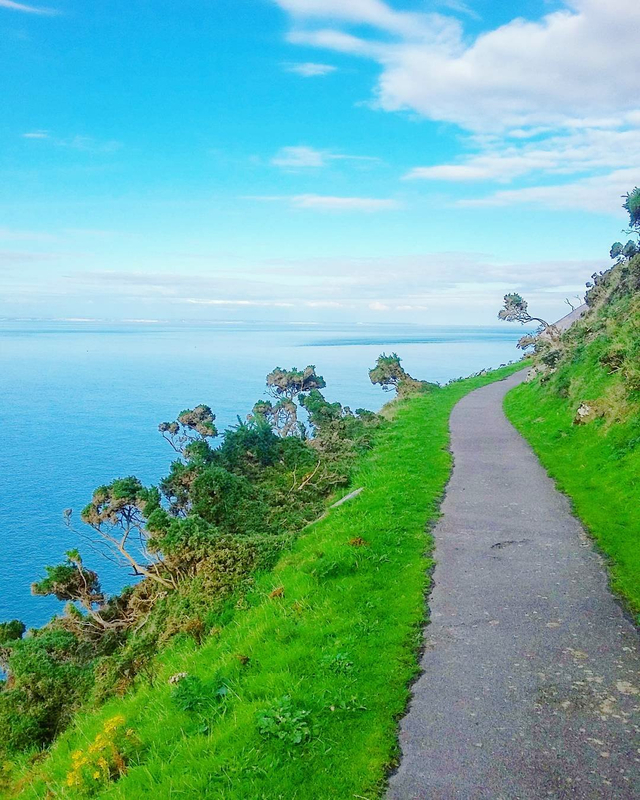 Just before getting back into a Lynton, there was a tiny path that wound its way steeply down through the forest into Lynmouth. The leaves were so dense that even in bright daylight it was almost dark in the shade of the trees. I hoped that the train back up to Lynton would be running later, as I imagined navigating the path at dusk would be tricky! 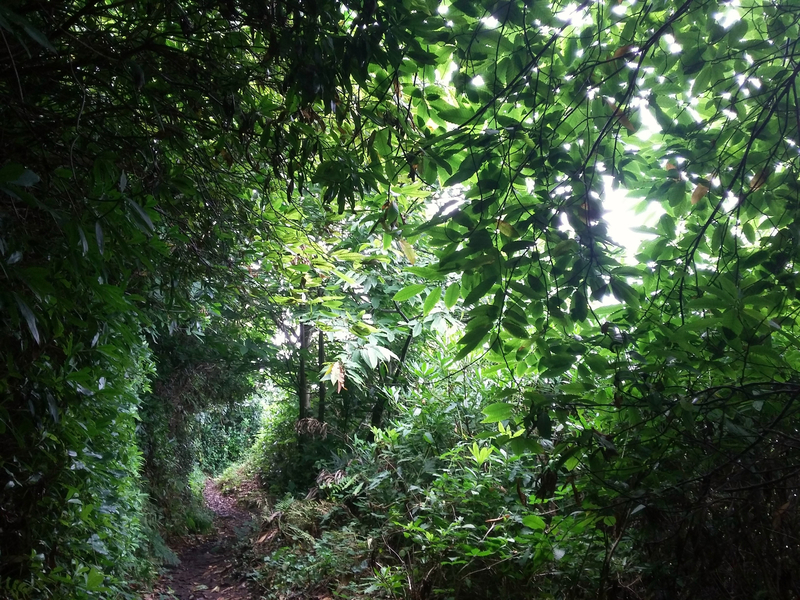 After the surreal natural beauty of the coastal walk, when the tunnel of trees opened out into Lynmouth, I felt as if I’d passed through a portal back into the real world. I quickly made my way to the cliff railway station and bought my ticket for the last train back, which happened to be in just 15 minutes. Just enough time to get a quick snack to eat on the pebbled beach, and enjoy a few moments in this beautiful place. It had been an amazing day, and there was still one last mini-adventure left. The train back to Lynton was no ordinary train. The railway that connects the twin towns cuts straight through the cliffs at a near vertical angle, and the water-powered vehicle lifts you all the way up to the top. 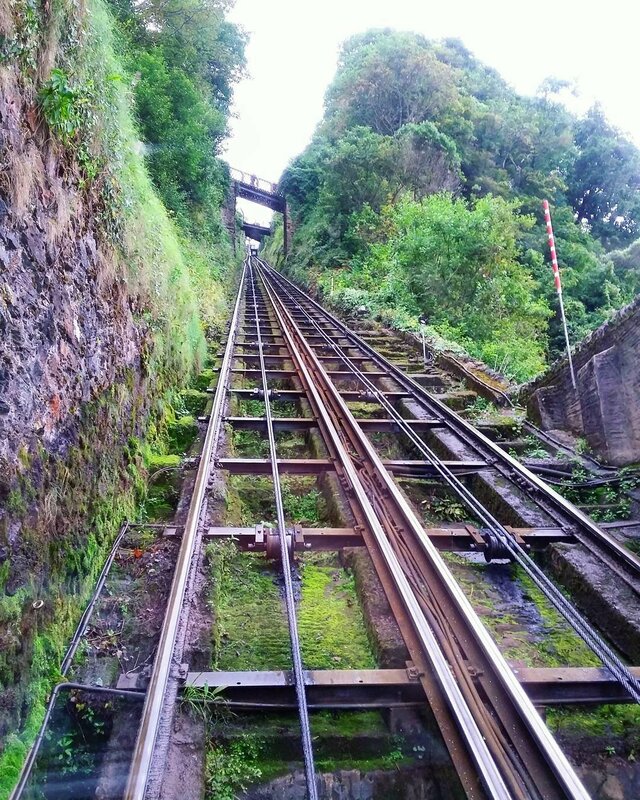 I’d been on the cliff railway before, but the feeling still took my breath away! 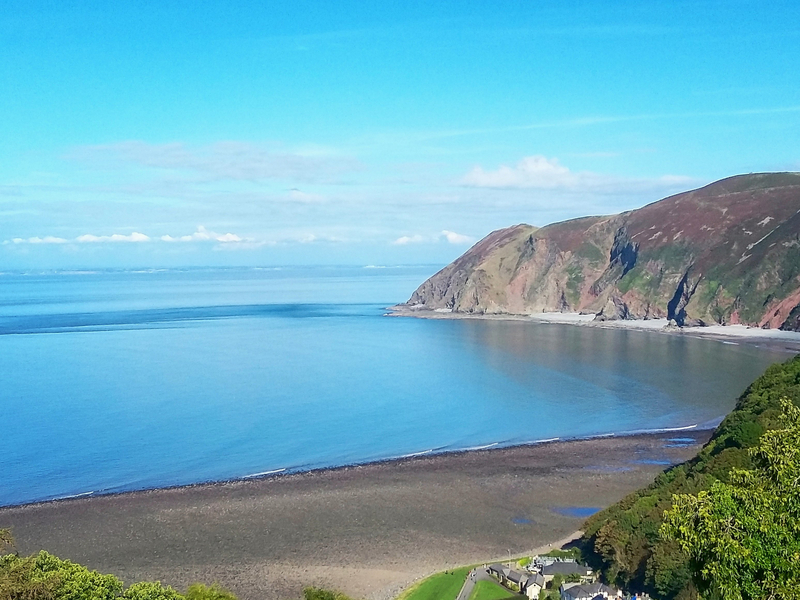 I watched Lynmouth shrink away into the distance as I was rapidly propelled upwards by the miraculous machine. Yet again I felt like I’d been teleported, and was almost instantly back in Lynton where I’d begun. There was still so much to see and do in the area, but I was unbelievably grateful at how the trip had turned out. A day can change in an instant, and I’ve never regretted a decision to embrace an adventure, even when things haven’t gone quite so perfectly! This entry was posted in Inspiration, Travel on November 21, 2016 by tessheaven.